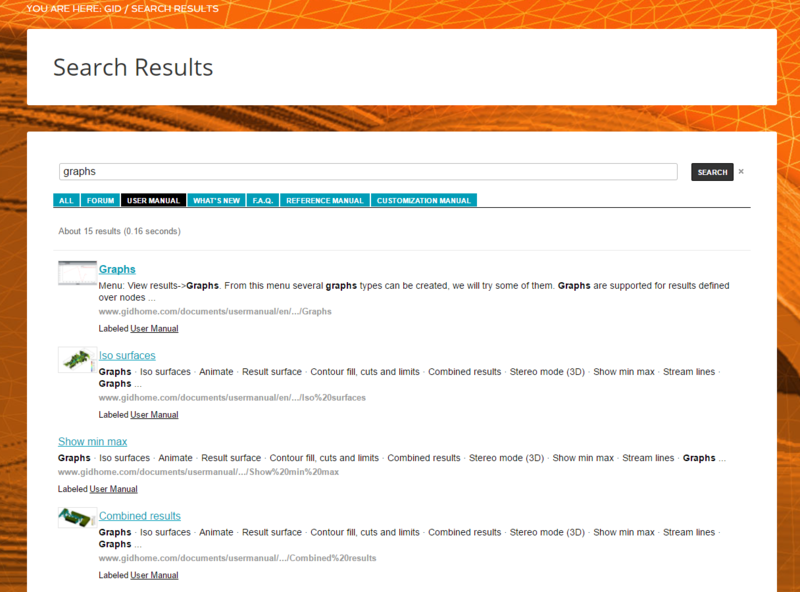 Have you tried the search option in GiD website? You can use it to find any concept in our website, including the GiD manuals. Just search for the command or option in GiD that you want to learn about. In the results page you will be able to filter the results by the location, such as user, reference and customization manual, or even in the GiD forum. Just select the tab that you are interested in for improving your search. 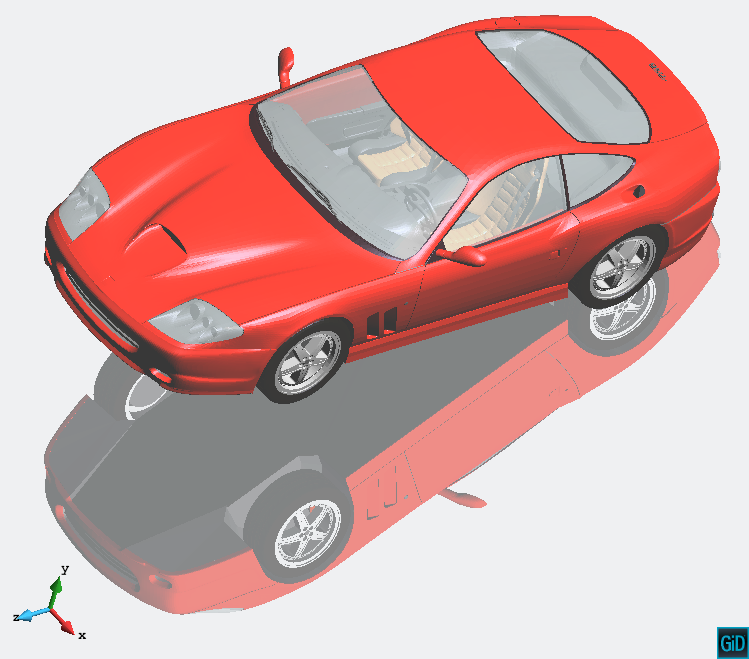 Each time you move the model in GiD a view is saved. You can swap between these views quickly using these buttons in the standard toolbar. This action can be done both in preprocess and postprocess also through the menu View->Zoom->Previous/Next. You can quickly change the render mode from the status and information bar. Click on the Render button and the render mode will change between Normal, Flat and Smooth in a loop. The Status & Information bar located at lower part of GiD’s Window, provides basic information at a quick glance. Get more information in the user manual. You can visualize your model with shadows effect, both in preprocess and postprocess mode. This feature provides a better depth perception of the 3D model and a more realistic rendering. Change the light direction (View->Render->Change light direction) and see how the shadows move. This option is available in menu View->Advanced viewing settings. In the window you can activate the shadows and set several options such as color or quality. Find more information about this feature in the Reference Manual. Use the floor mirror effect for nicer visualizations. This option can be activated both in preprocess and postprocess through the menu View->Advanced viewing settings. In the window you just have to activate the mirror option. GDAL library allow import raster images of GIS terrain models. GiD can be used in full screen mode. In this mode the top menu and the toolbars are not showed and GiD fits with the size of your screen. Full screen is interesting when you are working with 3D stereoscopic view because you get a better immersion. This option can be activated both in preprocess and postprocess through the menu View->Full screen or pressing F11 key. A geometric representation is composed of four types of entities, namely points, lines, surfaces, and volumes. A layer is a grouping of entities. Defining layers in computer-aided design allows us to work collectively with all the entities in one layer. You can create a layer inside another one, this new layer is called “child” layer.